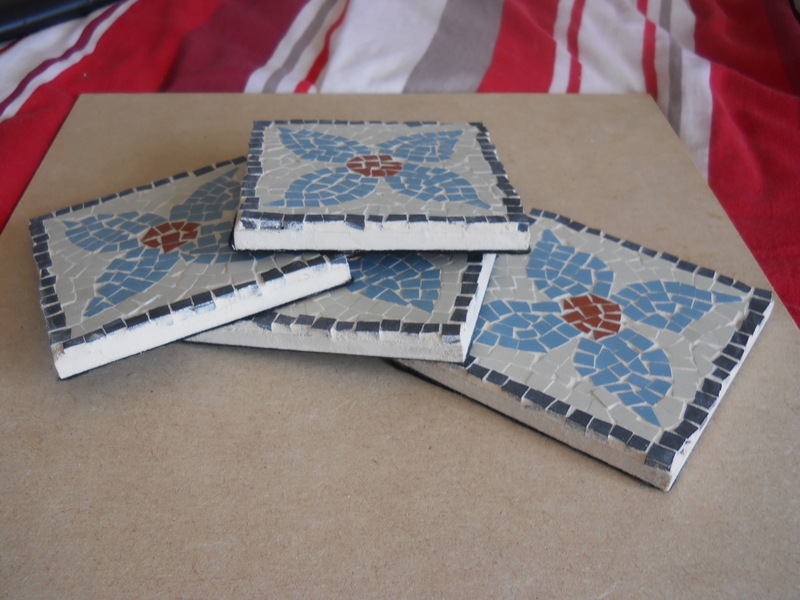 Over the last few weeks I’ve been making more mosaic coasters, however unlike my previous equestrian themed pieces, these have more of a classical flavour. To give a sense of perspective the coasters selves are 100mm x 100mm and constructed onto felt backed MDF. 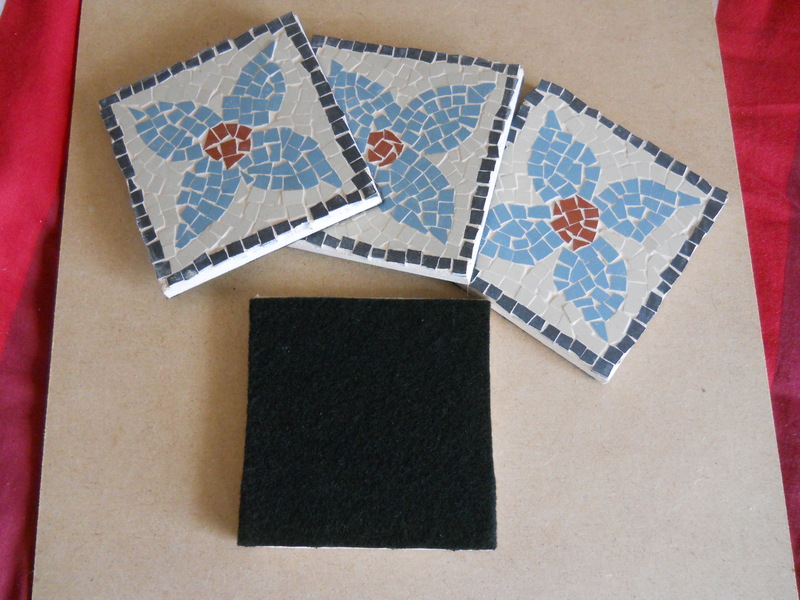 The felt is a useful addition as it prevents them scratching any surface that they may be laid on, also they’ve been grouted with a waterproof grout meaning that any spills on them can be easily wiped off.